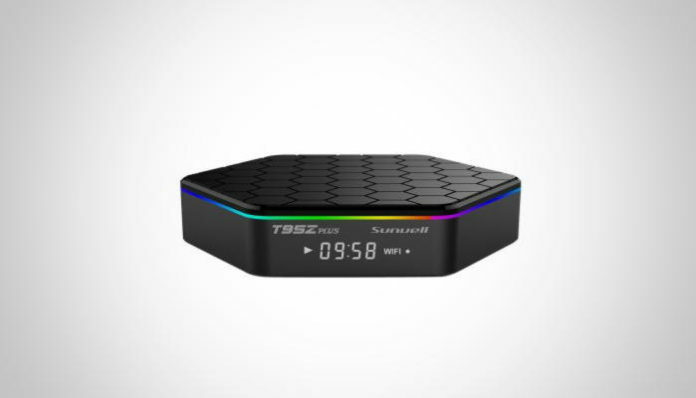 Sunvell have revealed a new Amlogic S912 Android TV box. Called the Sunvell T95Z Plus, it features a stylish hexagonal design and an LED display for the time and status indicators. In terms of specs, it’s got 2GB of DDR3 RAM, 16GB of eMMC storage, dual band b/g/n WiFi, Gigabit Ethernet, and Bluetooth 4.0. No word on the launcher that it’ll ship with but the marketing material does mention that it’ll come pre-installed with Kodi 17.0. I’ve actually been impressed with Sunvell’s designs of late, with the company’s last few Android boxes sporting unique designs rather than the typical black slab we see so often. Inside the box, you’ll get the Sunvell T95Z Plus Android TV box, IR remote, HDMI cable, power adapter and a user manual.